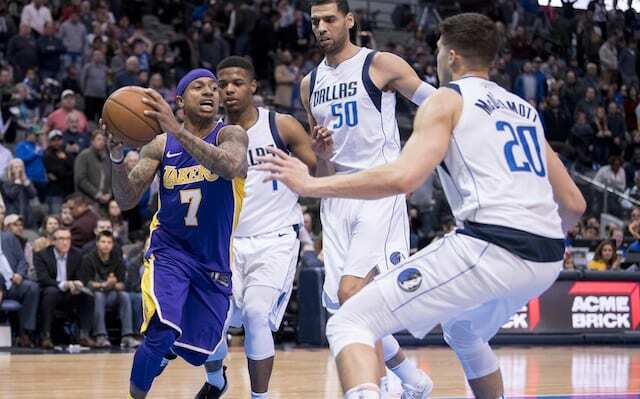 Isaiah Thomas has only played one game for the Los Angeles Lakers, but his tenure in purple and gold is going better so far than his short stint with the Cleveland Cavaliers. The 5’9 firecracker put up 22 points on 7-for-12 shooting, with six assists in 31 minutes off of the bench in his Lakers debut. While the end result was a loss to the Dallas Mavericks, it was stronger play than Thomas showed over 15 games in Cleveland, that he says is no coincidence. “I’m feeling good, I’m alright. I’m not 100 percent, but I’m getting there. Each and every day is a positive day for me. 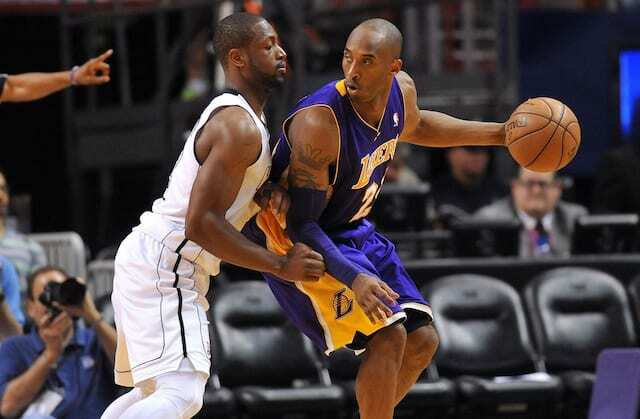 [Monday] was the first real practice I had all year,” Thomas said. Thomas didn’t put on a show in his limited time with the Cavaliers, who were 17.3 points per 100 possessions better when Thomas was on the bench compared to when he was on the floor. That’s something that can probably be partially chalked up to the diminutive guard not being fully healthy from rehabbing his hip injury during the offseason. After his first full practice with the Lakers, Thomas said he’s still only operating around 75-80 percent capacity. However, Thomas pushed back against the idea that he returned from his injury too soon, saying that the larger issue was that the Cavaliers’ lack of practices didn’t give him much of a chance to get his legs under him. “My hip responded well, but there’s a lot more going on than people know when it comes to being down seventh months, to be in a new system and get your rhythm back at the same time. When I was in Cleveland, we didn’t practice,” Thomas explained. The 22-point game Thomas put up in his first game with the Lakers looks like a strong foundation to build upon if he can continue to get healthier as he adjusts to his new teammates. The process won’t be easy, but as a free agent this summer who went from being one of the centerpieces of a trade for Kyrie Irving to a midseason castoff, Thomas has all of the motivation in the world to make things work with the Lakers.